With its proximity to the Mexican border, it is no surprise that the flavors of Mexico are so deeply ingrained in California’s food scene. 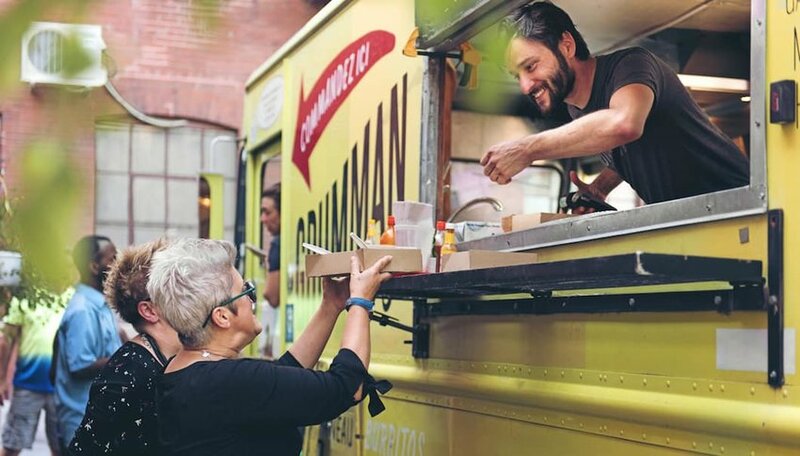 In fact, burritos, quesadillas and tacos are just as common as typical American fare on the menus of the state’s bars, food trucks and restaurants. So if you’ve got a craving for tacos when visiting the Golden State, read on to discover some mouthwatering options. 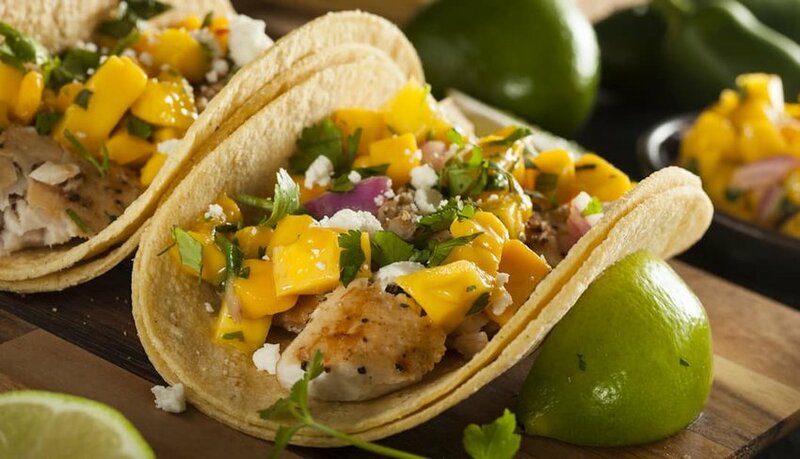 When it comes to Baja-style tacos, Ricky’s Fish Tacos is one of those one-time secret food trucks that has developed a cult following. Ricky himself takes pride in serving fresh shrimp and white fish fried in a light tempura and topped with one of a selection of his spicy salsas. Look for him parked up under a bridge at the southern entrance to Griffith Park, and remember that he’s only open at lunchtime. Sonoratown developed such a following that they had to expand into the unit next door to accommodate their loyal customers. It is the flour tortillas that they come for mostly, each one paired with expertly grilled meats and vegetables. Tackle the Caramelo, a lightly-toasted tortilla with cheese, pinto beans, salsa and avocado. There’s craft beer, too, to wash it all down with. Around about the spot where Mission District meets Soma on Harrison Street, you’ll find the El Tonayense food truck. These guys have been serving up delectable, no-frills tacos from their window for over 20 years and show no signs of stopping. Whether you want al pastor, carne asada, tongue or tripe, it all comes with beans, rice and either a hot or mild sauce. Tacos are everywhere in Mission District and if you can avoid the temptation to opt for the award-winning burrito at La Taqueria then you’ll find some of SF’s finest here. Punters have been coming to get the same acclaimed meat thrown into taco shells and doused in dressings since 1972. The cute colonial-style building gives it an added touch of Mexican authenticity. On fun-loving Park Boulevard, El Zarape is the perfect pitstop on your way to and from a bar. If seafood is your thing then you are in for a treat with the lobster, salmon and scallop options. Otherwise, there’s classic carne asada and grilled chicken. Still can’t decide? Select from the burrito-taco, enchilada-taco and rolled taco combinations. Follow your nose a couple of blocks back from the beach to this casual hole-in-the-wall style taco joint. 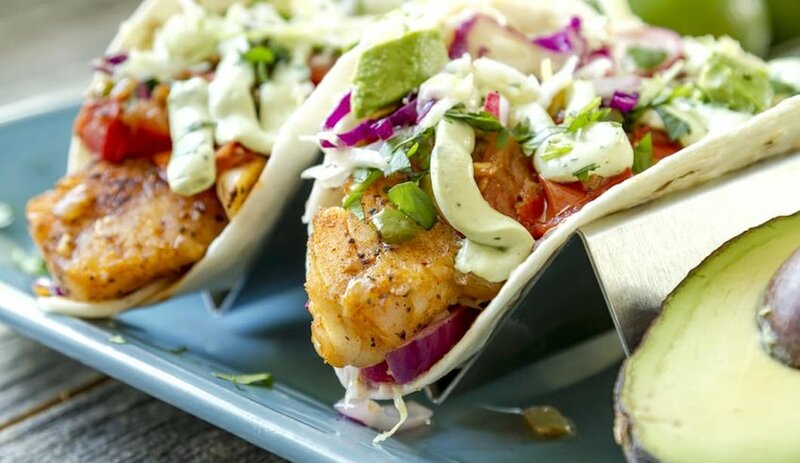 Fish and seafood are the stars of the menu at Oscar’s Mexican Seafood, but if you are an avid meat eater then mix it up with a Surf and Turf Taco. The grilled octopus option will have you drooling and dreaming for days. Order takeout and then chow down at beach. For less than five bucks, Salud! whips up hearty tacos that taste like they’ve been served straight from a street cart in Mexico City. Homemade corn tortillas, grilled meats, flaky fish and fresh pico de gallo ensure that you’ll stop by more than once when in San Diego. The Breakfast is a hangover-busting monster filled with chorizo, bacon, egg, cheese and avocado. As authentic as tacos get is the proud motto of Lilly’s Taqueria. With a choice of grilled and steamed tortillas and fillings such as beef cheek, beef head, beef tongue and tripe, it’s hard to argue. There’s vegetarian options, too, delicious beans and the freshest cheese. Lilly’s has one location close to Stearns Wharf and another in Goleta. Should you find yourself in Chula Vista then Tacos El Gordo is the closest you’ll get to Tijuana-style grub without physically crossing the border. The handmade tortillas and tender meats are a devilish combination, especially when eaten with guacamole and salsas made fresh every day. El Gordo started back in 1972 and has now branched out to San Diego and Las Vegas. What started life as a modest food truck in 1978 grew to become one of the first Californian restaurants to offer Baja-style fare. Taco Nazo now has six locations, spread mainly around Los Angeles County, but it is the original in La Puente that still shines brightest. Do your stomach a favor and order the fish and shrimp tacos, inspired by flavors from Ensenada, Mexico. 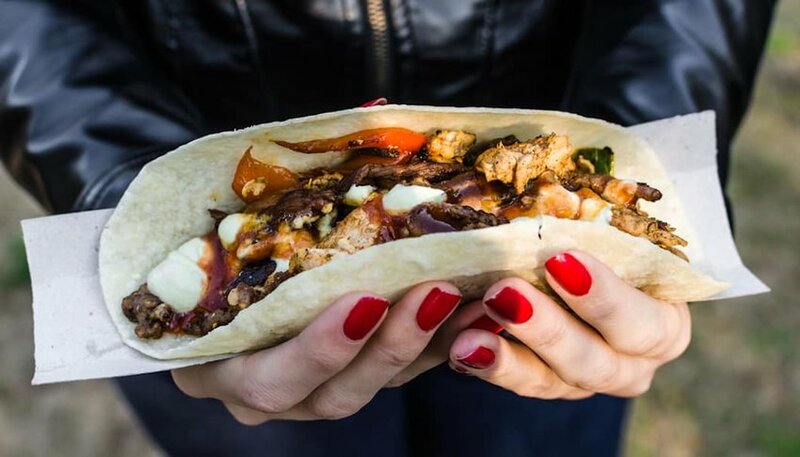 Tacos Por Favor spoils you for choice with over 20 variations of hard and soft tacos. Almost all are served with a delightful guacamole, which just leaves you with the conundrum of what dressing to go for. The taquitos are great for when you want some variation but don’t have the appetite for more than one standard taco. This just scrapes the surface of the restaurant’s huge menu. Where Else for Tantalizing Tacos? Fancy sampling tacos by over 30 of San Diego’s best Mexican restaurants? This 1-day festival in May lets you do just that while also sipping on craft beers and listening to local and international music acts. 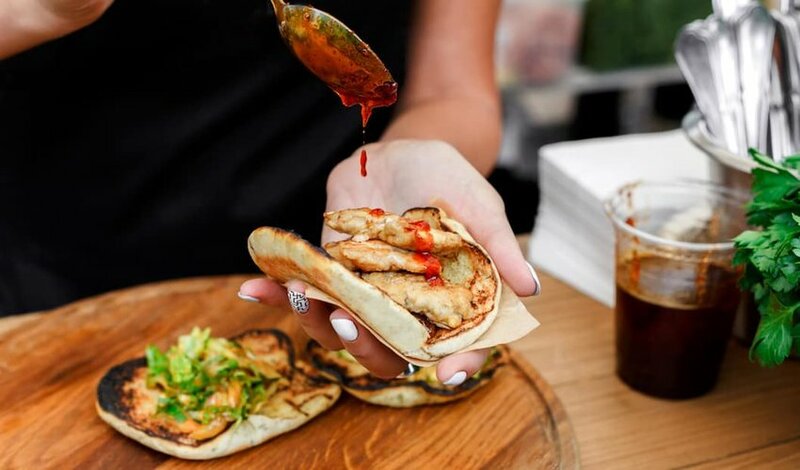 Find out more here: San Diego Taco Fest. What’s more Mexican than eating tacos? Drinking tequila, of course. You can do both at this traveling festival, which stops in Santa Cruz, San Diego and Ventura. Find out more here: Tequila and Taco Music Festival.